Mike had his first taste of motorcycles at the age of 8 when his dad brought home a new Kawasaki Mach III. He spent many hours helping in the garage and begging as many rides as he could get. At the age of 11 Mike finally got a bike of his own and began dirt riding. 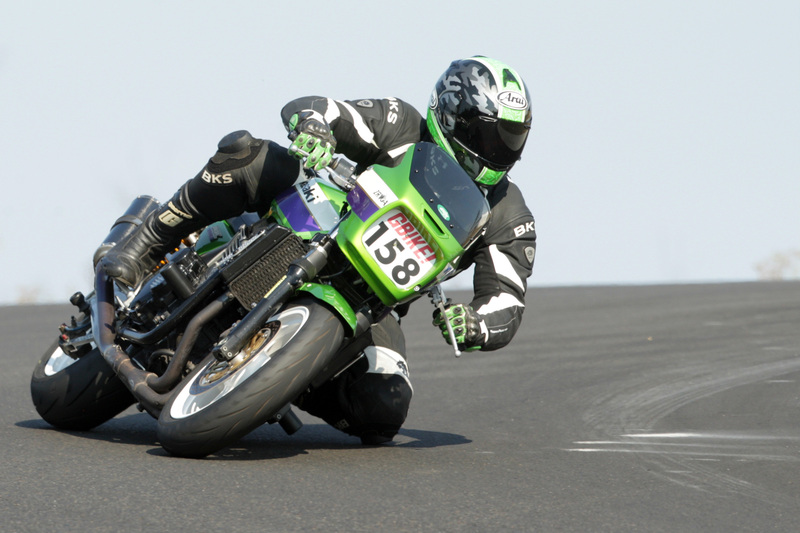 The hook was firmly set and Mike set his sights on his first street bike at the age of 15. There was no such thing as “sport bikes” back then, but riding an RD 400 to high school was considered to be a pretty cool thing. During the next 36 years, Mike has owned at least one street bike for 35 of them. You could say he’s a motorcyclist. Mike is blessed with a wonderful family of women… Debbie, his bride of 29 years and 3 daughters, Mandy, Chandler, and Madison. You will find his girls helping with registration, working the pits, and riding pillion behind Mike out on the track. You may even see Mandy pointing a camera at you while you’re circulating the track. When Mark started 2-FAST, Mike was an early customer on a rather unlikely machine… his ZRX street bike. Once again a hook had been set and a track day addiction was inevitable. After an unfortunate incident in the rain (bitten by the Pacific turn 8 dip) late in 2006, the ZRX was converted to full-time track duty. While not the ultimate track weapon, Mike and the ZRX have made many new friends at the track and look forward to continuing that pattern. As a former teacher Mike likes to help, so be sure to ask if you have any questions… he’s easy to find. Click here to register for a track day!